I was trying to make some sense out of all the crazy stupid news reporting I was reading about the nuclear reactors that were affected by the Japanese earthquake and tsunami. I finally happened on a blog (!) that made sense of it all. I have a little understanding of how nuclear reactors work, especially older ones like these, but only on the most basic level. The description of the events outlined on the blog post seem to ring true to me. I’m sure there will be much hand-wringing that the designers of the plants did not make them 100 per cent safe for this scenario. It reminds me of a situation my Dad used to have to handle when he had his engineering consulting business. His business was located in Ohio, on the shore of Lake Erie, and that’s where a lot of his clients were, obviously. His company was active from the 1960s through about 2005. Early on, in the 60s and 70s, he talked about designing storm sewer systems to handle “100-year” storms – the strongest storms and rainfall expected in a given period, based on observations in that area. That area had been settled since early in the 19th century, but how good was the data from a hundred years before? What kind of baseline data did they have to predict how strong a storm might be that would only strike about once every 100 years. (And, remember, that could be twice in one year, then not again for 198 years…) There were even guesses at what a “thousand year storm” might be. Dad laughed when it looked like they were getting 100-year storms about every two or three years. It wasn’t “climate change,” it was lack of enough accurate data for a baseline. So in Japan, here are 40-year-old reactors, designed for 7.9 earthquakes. Now they are hit by the seventh largest ever recorded – seven times their design limit. Add to that the tsunami. I don’t know why that wasn’t taken into account, or if it was, and underestimated, when planning the diesel backup generator installation. The power grid is gone – just plain gone – as is transportation. This is almost as bad as bombing them, or an asteroid strike, in terms of making it impossible for the crews to do damage control. It looks like the outer building on one reactor was breached, releasing some radioactive steam with a very short half-life. The long-term effects on people will be very small, I think. The long-term effects on the population as a whole as a result of having to dismantle these plants, hopefully build new ones, and do all the other cleanup from the tsunami will be enormous. We’ll know more about what really happened in a few weeks, once the hysteria dies down and the reactors can be studied more carefully. It’s still a bad day for the Japanese, and for the nuclear power industry. We need energy, and nuclear is still one of the best ways to get it. The last thing we need is for the doomsayers to start running around again. It looks like the reactors in Japan, and the reactors’ crews, did what they should in the face of an incredible disaster. We should be happy they were so good at their jobs that they were able to handle the emergency so well. 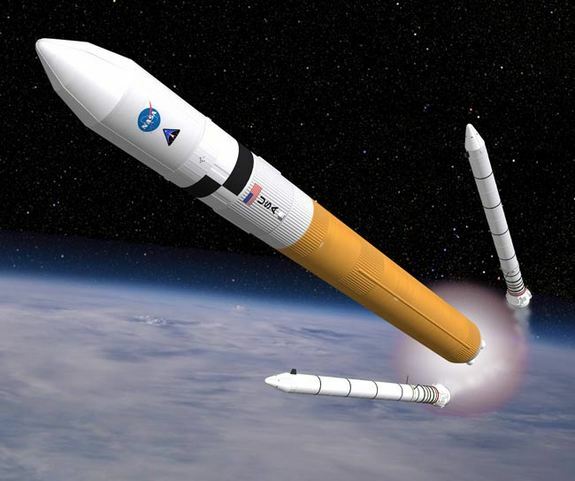 NASA’s Heavy-Lift Launcher? Can’t or Won’t? Mark Whittington has a great piece on Yahoo News about why NASA Administrator Charles Bolden has stated that NASA “won’t…and can’t” build a heavy-lift (up to 130 tons) launch vehicle in the near future. The can’t doesn’t have to do with not knowing how, or any lack of technological ability. It has to do with politics. Congress is not completely taken over by the Obama Administration anti-space exploration policy of “been there, done that.” They’ve sort of adopted a “wait and see” attitude, and so have many in NASA, apparently. Quite a bit of semi-clandestine development went on in the Constellation program following its cancellation because the contractors were still owed the rest of their contracts, so they kept working, and the government had to make good on the payments. It could very well be that in two years the administration in Washington could change to something much more NASA-friendly. Congresscritters know this, and a lot of them, including a lot of Democrats who serve states that would benefit from the increase in NASA funding, are just biding their time until he’s gone. Bolden, unfortunately, has to carry water for the Administration. He has to say this stuff. As a former astronaut it must be killing him. He has to say we can’t build a heavy-lift (we built the Saturn V in seven years – using not just companies like Lockheed and Boeing, but Chrysler, for chrissakes) when he knows it isn’t true. As I’ve said before, space vehicles are one of those things that can be developed faster, at least to a degree, if you throw more money at it. We have to run a lot of low-cost simulations and studies now because we don’t have the money to bend tin and shoot the thing up and see how it works. Sometime, check out the development of the Atlas missile, before it became the Mercury orbital launcher. It wasn’t successful on the first try. In fact, it had a lot of really spectacular failures. There was a point where the designers at Convair weren’t sure the thing would work. They stuck with it and pounded out the bugs, and it was deployed all over the US as a first-strike ICBM. The auto companies need work, I heard. 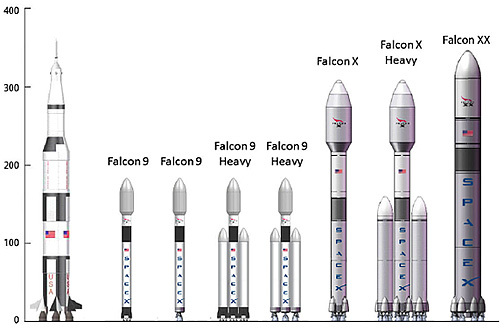 maybe we can give them the job of building the Ares V. GM sort of belongs to the government, doesn’t it? If Chrysler could build the Saturn V first stage, GM could build this thing. You are currently browsing the The Old Gray Cat blog archives for the day Sunday, March 13th, 2011.